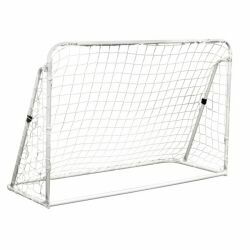 The Champion Sports 3 in 1 Trainer Soccer Goal Set is a soccer goal, soccer rebounder and soccer target all in one, and sets up in minutes. 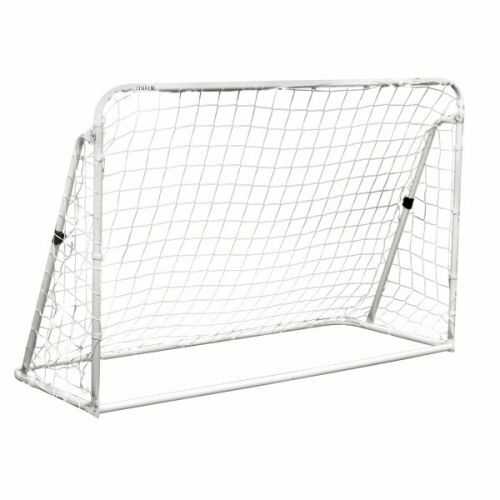 Featuring a heavy-duty, weather resistant steel frame with easy push button assembly, this 6'x4' goal includes a 4'x4' polyethylene net with self-stick hanging loops for effortless attachment. A bungee cord, rebounder, and target are included. The clamps are easily adjustable for multiple rebound angles—perfect for developing a multitude of soccer skills!